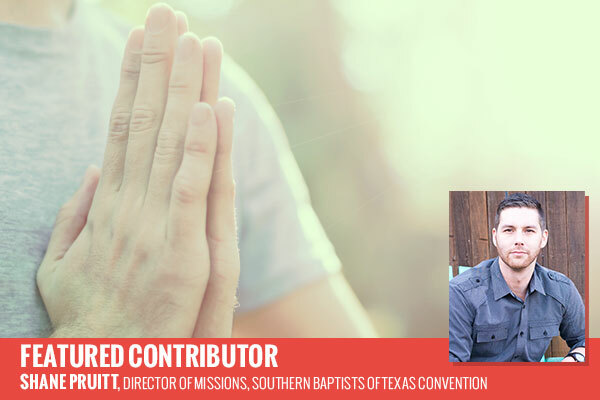 Featured Contributor Shane Pruitt says pastors need prayers too. What is a Pastor? According to Webster’s Dictionary, a Pastor is “a spiritual overseer.” That means a Pastor”s job description is to oversee people’s spiritual-wellbeing; a concept that God cares most about in people, but, often the people care the least about in themselves. What’s even more nerve-wrecking than how extremely difficult the job can be right here and now on earth…is that in eternity, the pastor has to give an account for those very souls. “Obey your leaders and submit to them, for they are keeping watch over your souls, as those who will have to give an account” -Hebrews 13:17. Jesus’ favorite metaphors for spiritual leadership, one He often used to describe Himself, was that of a shepherd. A spiritual shepherd is a person who tends to the flock of God. A shepherd leads, feeds, nurtures, comforts, corrects, and protects. Unfortunately, this pressure, stress, and lack of care for our own souls catches up to us pastors on a daily basis. When you look out across the vast landscape of evangelicalism, there are thousands upon thousands of beaten, wounded, and near-lifeless shells of what were once healthy, bold, and vigorous ministers of the Gospel. According to Barna Research Group, 1,500 pastors leave the ministry each month due to moral failure, spiritual burnout, or contention in their churches. 50 percent of pastors are so discouraged that they would leave the ministry if they could, but have no other way of making a living. 70 percent of pastors constantly fight depression. So, what is the answer? Is there a way for God’s people to help and encourage our Pastors and Leaders? Well, I feel there is an answer to these questions, but I can promise that it’s going to sound like a “Sunday School” answer to the dilemma. The answer is prayer! Not just saying that you’re going to pray, but truly and honestly praying for your pastors and leaders is the answer! 2. Pray for your pastor’s spouse. 3. Pray for your pastor’s children. 4. Pray for your pastor’s vision for the faith family. 5. Pray for your pastor to have a drive to make much of Jesus, and not themselves. 6. Pray for your pastor to walk in integrity, while constantly fighting sin in his own life. Thank you for taking the time to pray for leaders. They desperately need it, because at the end of the day, they’re a bunch of nobody’s trying to tell everybody about the Great Somebody; named Jesus!